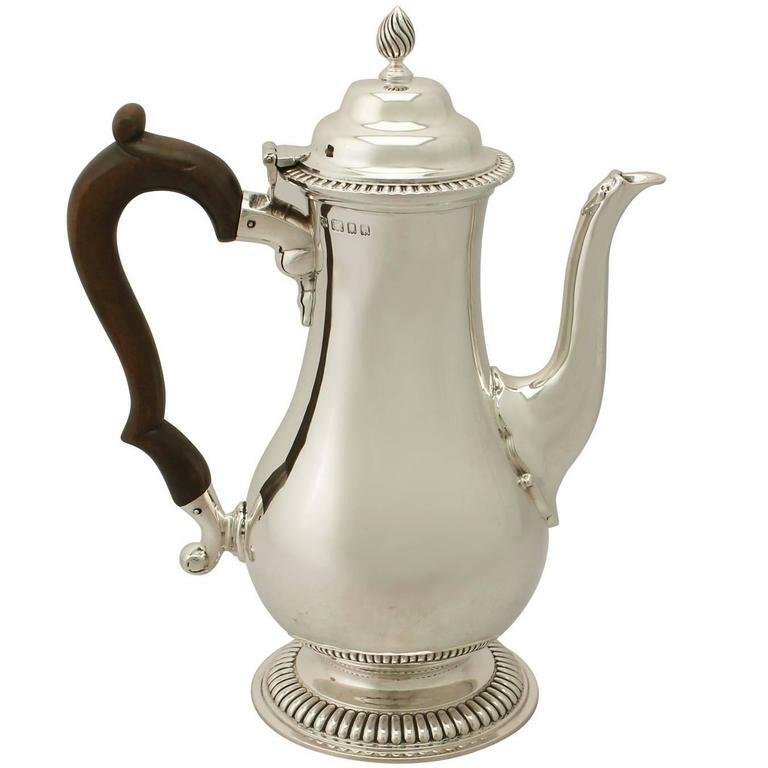 An exceptional, fine and impressive antique George V English sterling silver coffee pot made by Richard Comyns in the George III style, an addition to our silver tea ware collection. 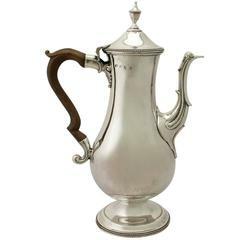 Description: This exceptional antique George V sterling silver coffee pot has a plain baluster form onto a circular domed spreading foot, all in the George III style. 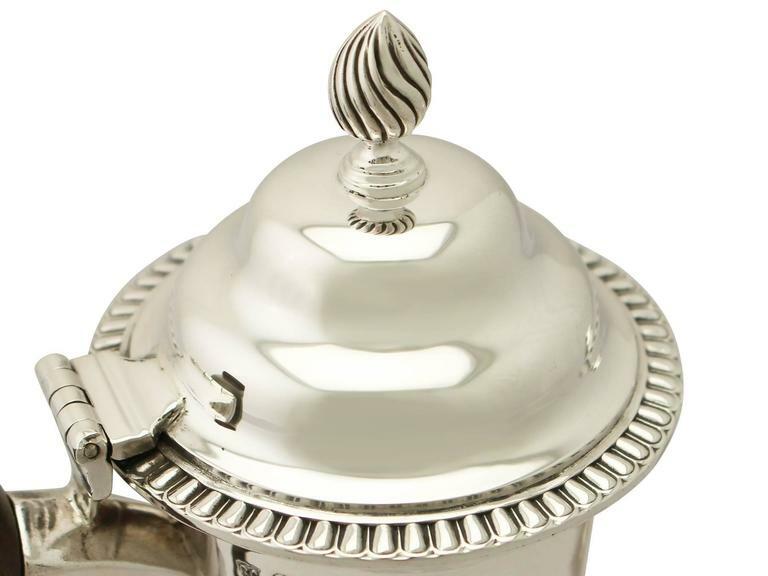 The surface of this 1930s coffee pot is plain and unembellished. 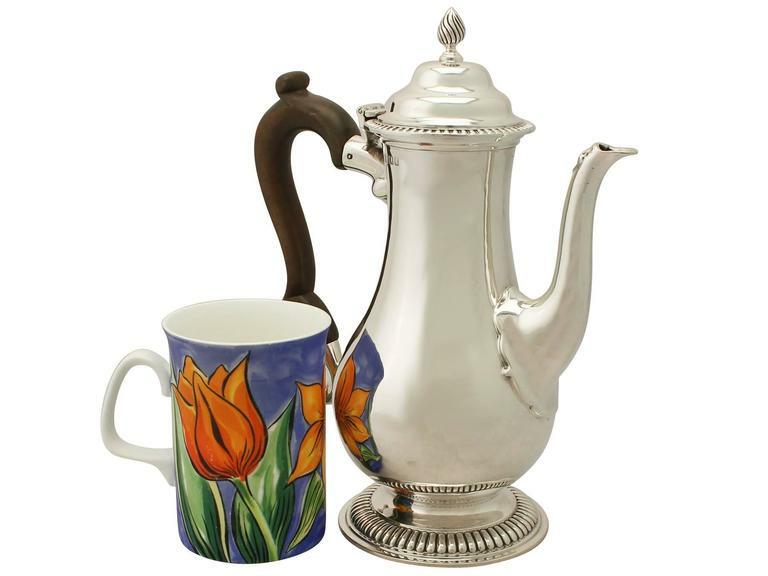 The coffee pot retains the original hallmarked domed hinged cover is encircled with a band of applied gadroon decoration and surmounted with a fine and impressive cast sterling silver flame style finial. 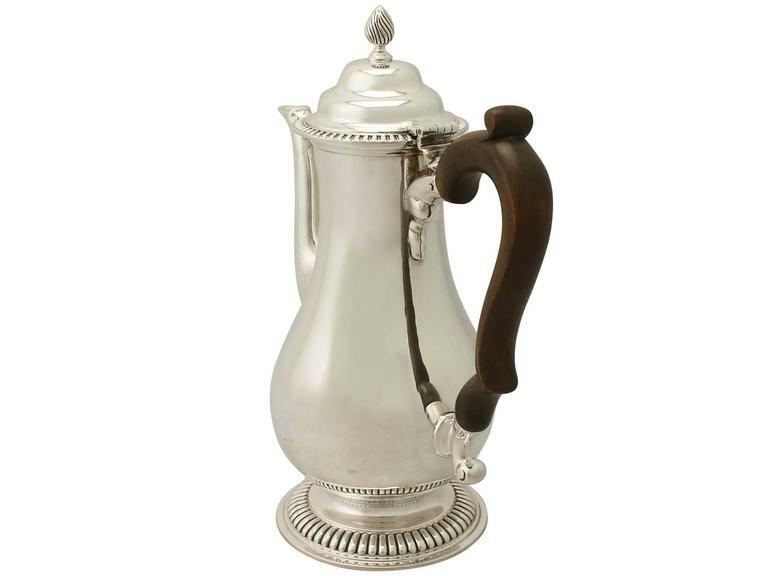 The coffee pot retains the original opposing scroll pear wood handle with an impressive scrolling lower terminal and simplified pendant drop ornamentation to the upper socket. 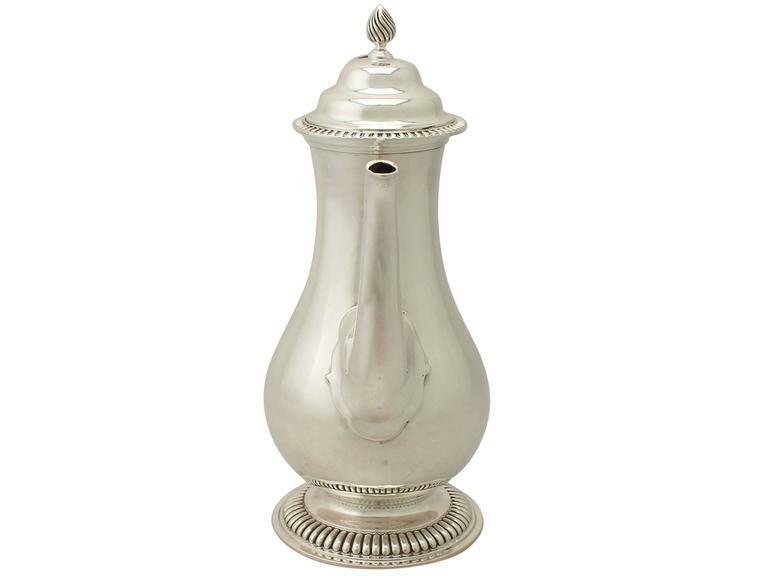 The circular domed spreading foot is encompassed with a chased gadroon decorated border. 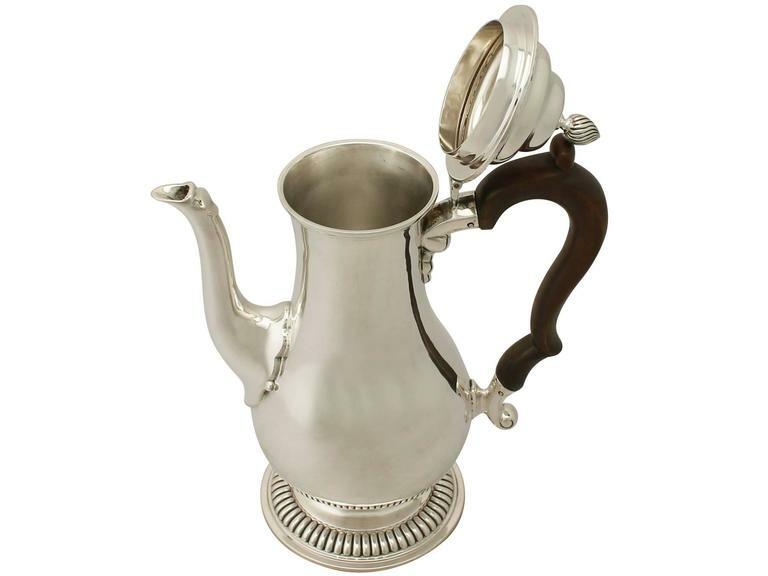 This antique coffee pot has an impressive swan necked spout embellished with an undulating design to the lip, in addition to a shaped socket. 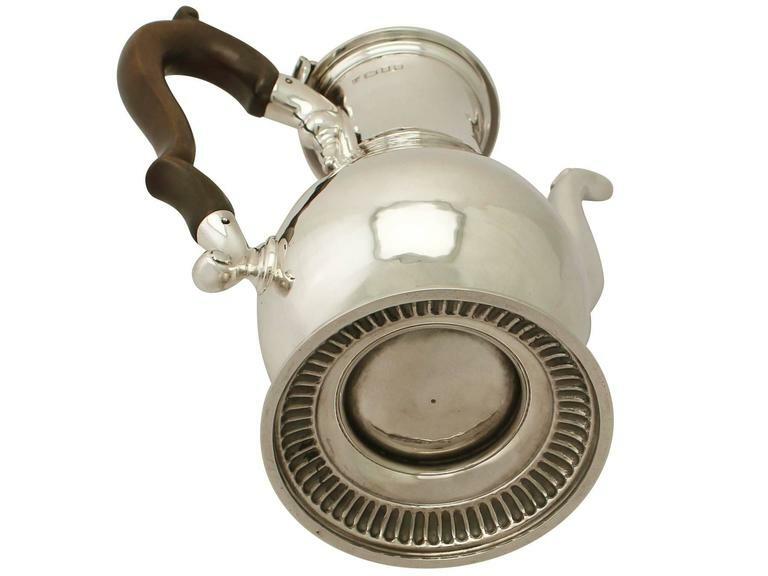 This exceptional 1930s coffee pot was crafted by the renowned London silversmith Richard Comyns of William Comyns & Sons Ltd. Dimensions: Length from back of handle to tip of spout 19.5cm/7.7". Diameter of body 10cm/3.9". Diameter of foot 10.1cm/4". 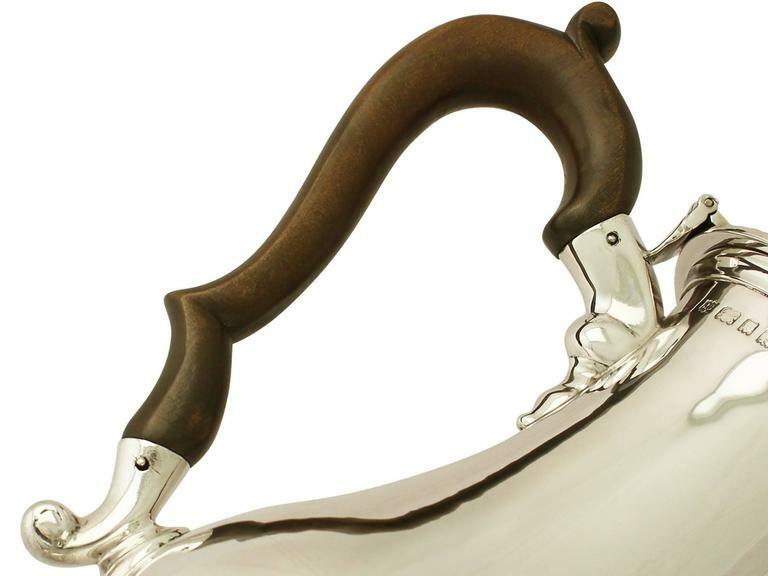 Height 24.2cm/9.5". Weight. 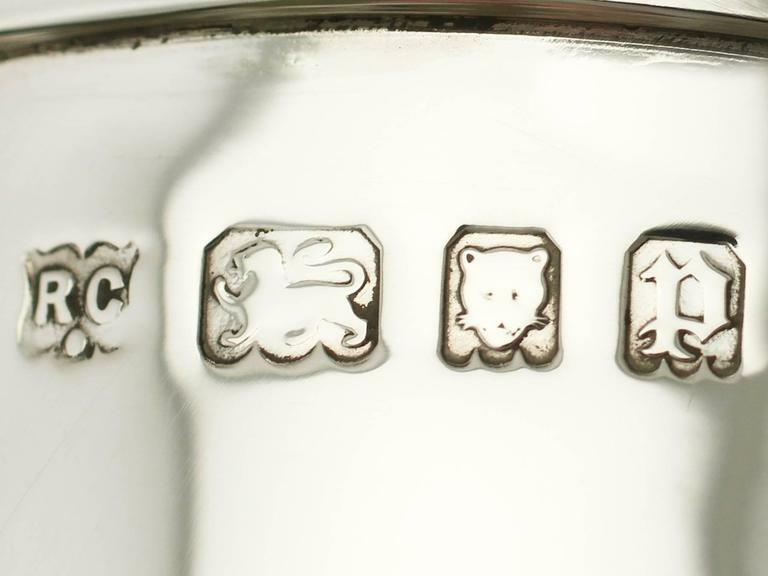 27.1 troy ounces/842g. 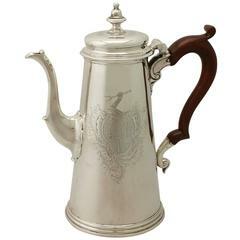 Maker: William Comyns & Sons Ltd (Richard Comyns). Date: 1930. Origin: London, England. Video: A video of this fine piece is available upon request.